Since 2003, the Group has actively participated in global jewellery exhibitions around the world, selling our jewellery on a wholesale basis to customers from the USA, Europe, Middle East, East Asia and Southeast Asia. 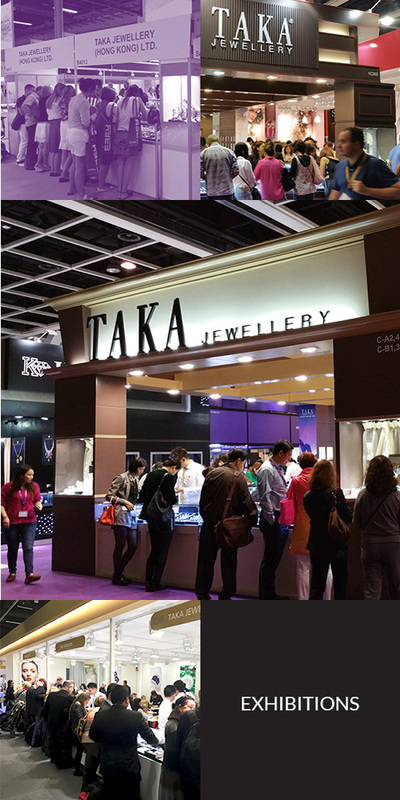 We participate in exhibitions under our brands Taka Jewellery, as well as Voi which was launched in 2007 to engage in the marketing and sale of a contemporary line of jewellery. Our customers from the Exhibitions Business are typically retailers and/or wholesalers, traders or consumers. We have global exposure and understanding of market trends and consumer preferences through regular and active participation in these exhibitions. The Group participates in more than 20 international exhibitions annually and notable exhibitions including the HKTDC Hong Kong International Jewellery Show, Baselworld in Switzerland and Dubai International Jewellery Week.